Philadelphia, PA – Bridgette Mayer Gallery will participate in the 26th annual Art Miami Fair, which will open with a VIP preview on Tuesday, December 1st and will run through Sunday, December 6th, 2015. The fair is held in the renowned Wynwood Arts District which is located in midtown Miami. This year’s fair will showcase 125 international art galleries from countries including England, Germany, Spain, Poland, France, Austria, the Netherlands, Canada, Sweden, Israel, Japan and Switzerland. The gallery will be exhibiting works by several of its most successful contemporary artists including Federico Herrero and Charles Burwell. 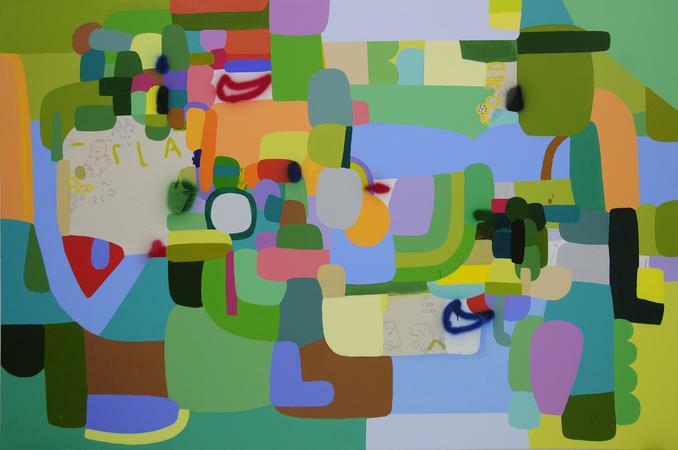 Herrero, a Costa Rican artist known worldwide for his colorful abstract paintings, was featured in “Pangaea II: New Art from Africa and Latin America” at the Saatchi Gallery in London earlier this year. Philadelphia based painter Charles Burwell exhibited in concurrent shows at the Delaware Art Museum and Delaware Center for the Contemporary Arts following his participation in the travelling exhibition “Beauty Reigns: A Baroque Sensibility in Recent Painting.” The gallery will also be featuring notable secondary market works by artists such as Douglas Gordon, recipient of the prestigious Turner Prize in 1996.